is unlike anywhere else in the world. Businesses are closed and restaurants shuttered. 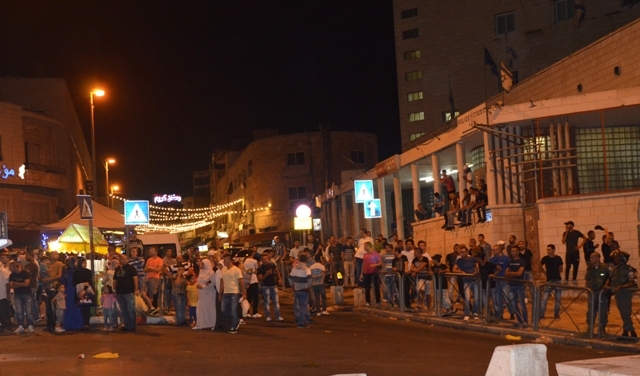 were a group of Muslim men and boys out to celebrate. 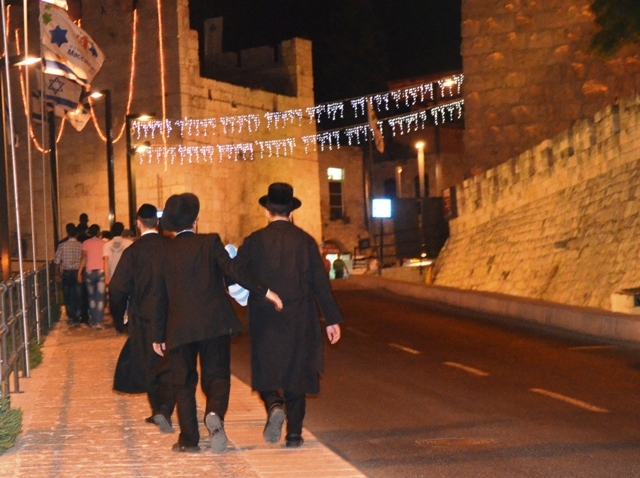 Behind them were three Jewish men on their way to the Old City. 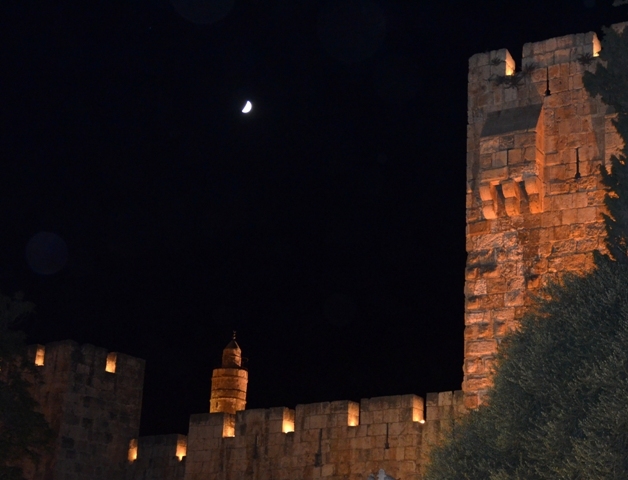 Entering Jaffa Gate I love to see the moon over the lights of the Tower of David. 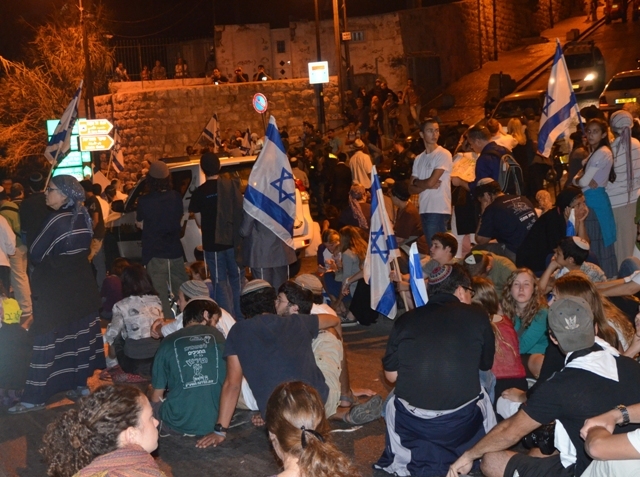 Near the Kotel, the Western Wall, were thousands of people, many sitting on the ground. The diversity of the crowd was obvious. 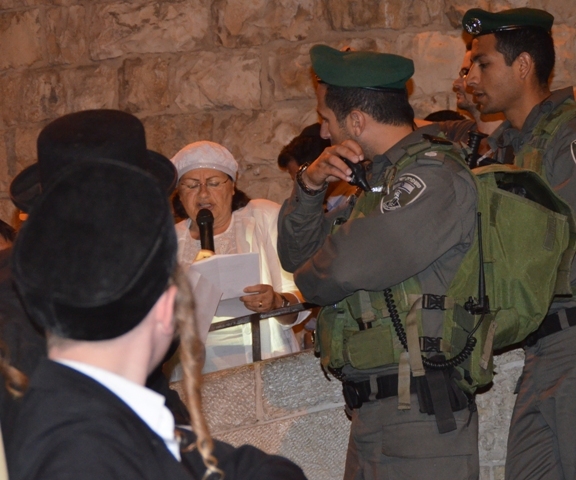 I wanted to see the 19th Walk Around the Walls of the Women in Green. Security was stronger this year. The crowd was large for the middle-of-the-night starting time. 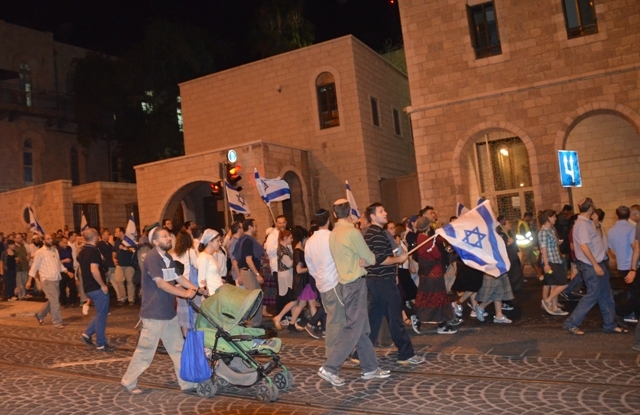 the group had to wait for several hours to start their walk. 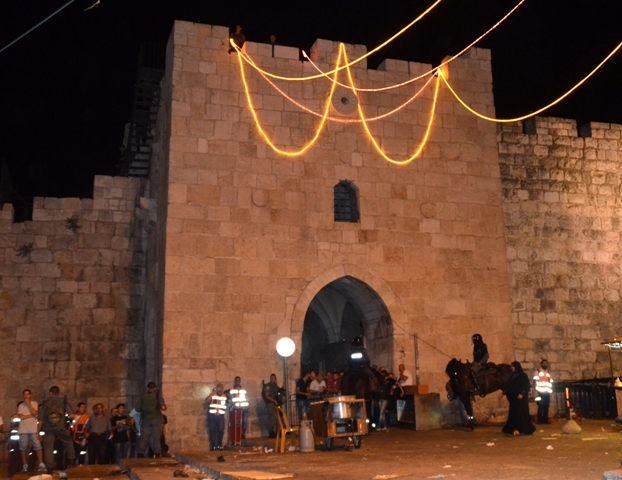 The route goes around the walls of the Old City, and partially along the Light Rail tracks. 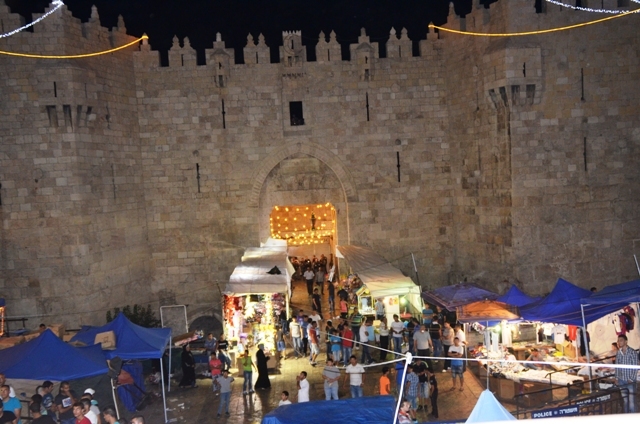 The Damascus Gate was busy and active with Ramadan celebrations. 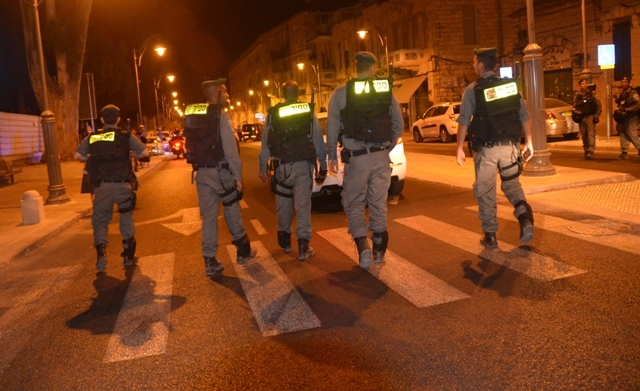 Israeli police, some on horses, observed to insure that the two crowds would not mix. 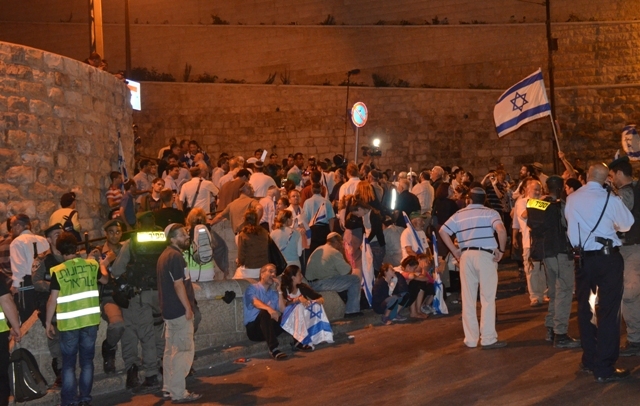 For the late hour, there were still a lot of people out. I decided to head home. It was already after 1:00 am. were all filled with thousands of people. While some left even more kept coming. 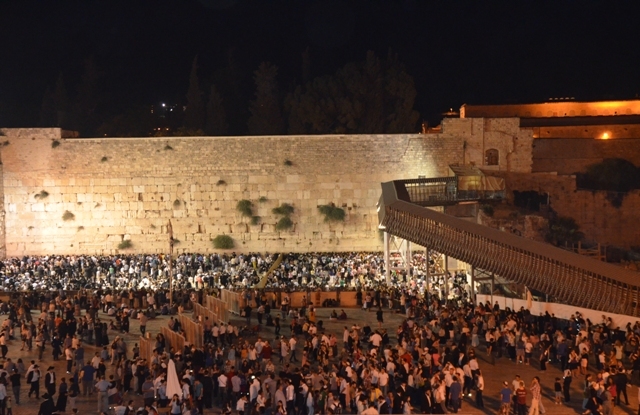 Tisha B’Av in Jerusalem looks like a big party. 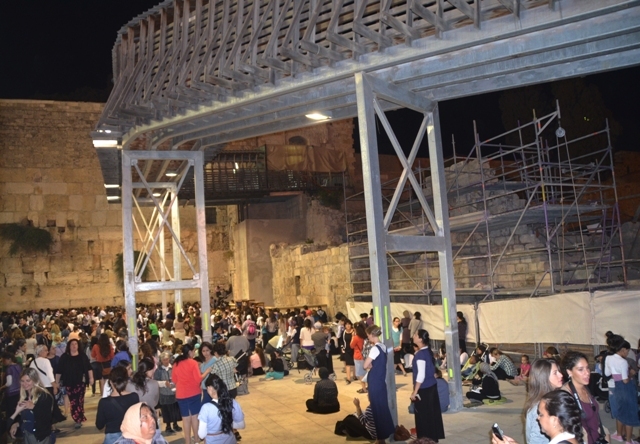 “Tisha Bav in Jerusalem looks like a big party”……What a sad, stupid commet…al eileh ani bochia; Well this is the straw that broke the camel’s back…au revoir. Sorry you did not like that comment, but just telling it like it been the last three years I have gone. Go at 1:00 am and see for yourself next year, assuming we are still observing mourning and everyone is not celebrating that is. 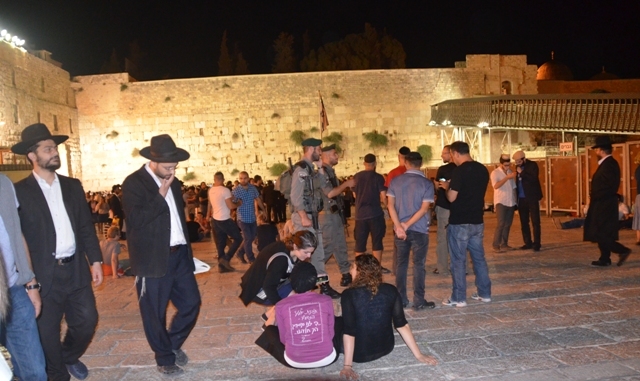 You are 100% correct about the fact that unfortunately Yerushalayim on Tisha Bav looks “like a big party” , but you as a Jew should publicly express pain for such a reality…kol tuv. Subtle sarcasm does not always come across in writing, something I must always keep in mind. Thanks for commenting.